Fairlight.AU Pty Ltd and Grass Valley, a Belden Brand, have collaborated on the development of two different hardware control surfaces that bring tactile control to Grass Valley’s EDIUS 8.1 video editing software. 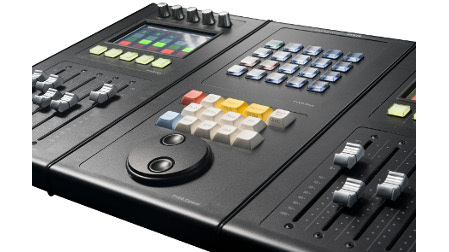 The collaboration combines Fairlight’s proven expertise in designing and manufacturing dedicated hardware controllers, with integrated control surfaces, for the post-production industry with Grass Valley’s experience in providing enterprise level video production solutions, which are used by major broadcasters worldwide. By working together, the two companies have succeeded in incorporating Fairlight’s new PYXIS video editing and mixing controllers into the EDIUS 8.1 platform, thus enabling editors to produce more content, faster and more efficiently. The incorporation of Fairlight’s Picture Key technology allows users to customise the control surface layout with their preferred editing functions. The Picture Keys change label and function instantly, repurposing the control surface to the task at hand. EDIUS 8.1 offers support for more formats and more resolutions than any other editing solution, delivering real-time editing of all popular SD/HD and 4K formats with no rendering required. EDIUS 8, which boasts Windows 10 support, includes a new GV browser tool to manage video, audio and still image content on the host PC prior to importing into EDIUS for editing. Fairlight’s PYXIS controllers are the perfect complement to EDIUS because they speed up workflow for video editors operating in high-throughput TV post production environments. The PYXIS for EDIUS controllers come in two models, PYXIS.Edit and PYXIS.Mix. PYXIS.Edit delivers unlimited functional scope, fewer keystrokes and less hand movement, all while keeping the operator fully aware of the currently available commands. 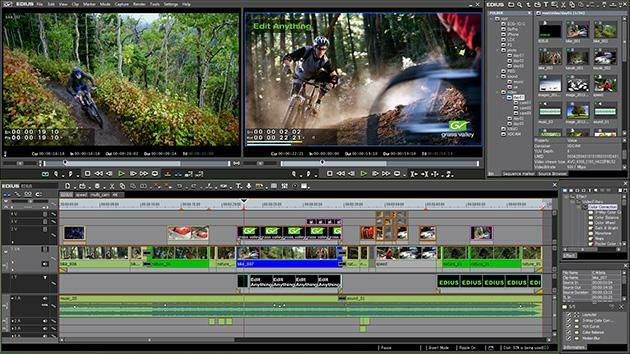 The advanced control of editing functions is augmented with a high-resolution jog wheel for zooming and transport control. The PYXIS.Edit controllers can be extended with up to 10 faders by adding a PYXIS.MIX fader sidecar. Each PYXIS.Mix adds five channels, each with a touch-sensitive pan pot, motorised fader, writing strip with metering along with solo, mute and gang buttons. Fairlight and Grass Valley will be showing the new PYXIS for EDIUS controllers at their respective booths at NAB 2016 – N6019 for Fairlight and SL106 for Grass Valley.